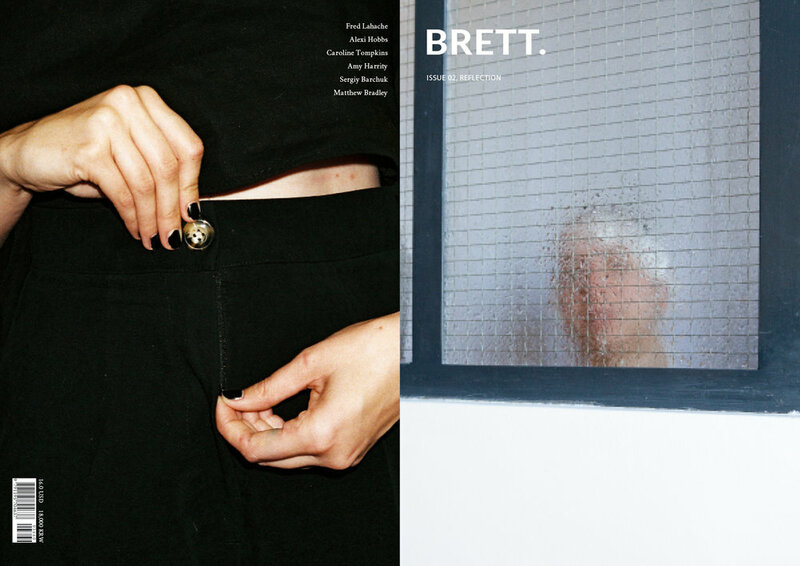 ISSUE 02, REFLECTION — BRETT. Our second issue is about reflection. A picture holds the relationship between the entirety of the subject which encompasses the photographer, object, and the people. It also apprehends the instances of the emotional connection. We gaze upon all that is reflected and reflect that into ourselves. The images in this issue is also our attempt to explore the reflection process. 두 번째 이슈는 투영(reflection)입니다. 한 장의 사진에는 작가, 그리고 사물 또는 인물을 비롯한 모든 피사체 사이의 관계가 투영됩니다. 또한 사진은 순간적으로 발생하는 감정의 연결을 담아냅니다. 우리는 반사된 무언가를 응시하고, 다시 그것을 스스로에게 투영합니다. 이번 호의 이미지들은 그 과정을 탐구하기 위한 시도입니다. A3, 11.7x16.5 Inches, 28 Pages, Limited Edition, Copies of 700.